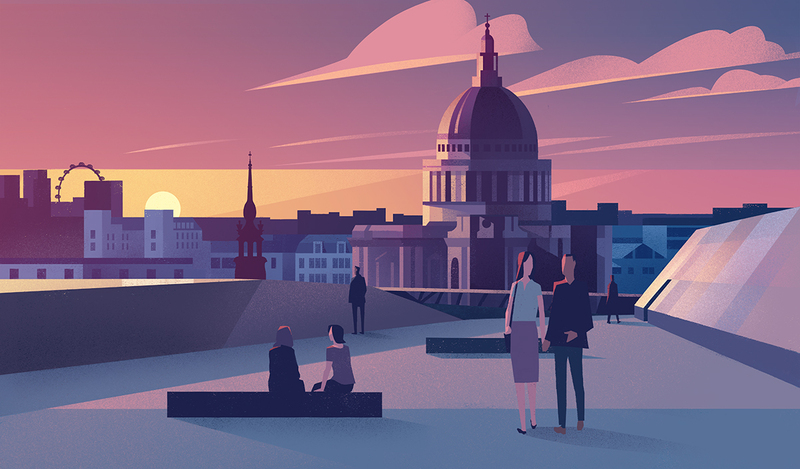 Mark Boardman worked with the team at Pollitt and Partners to create these artworks for Land Securities. 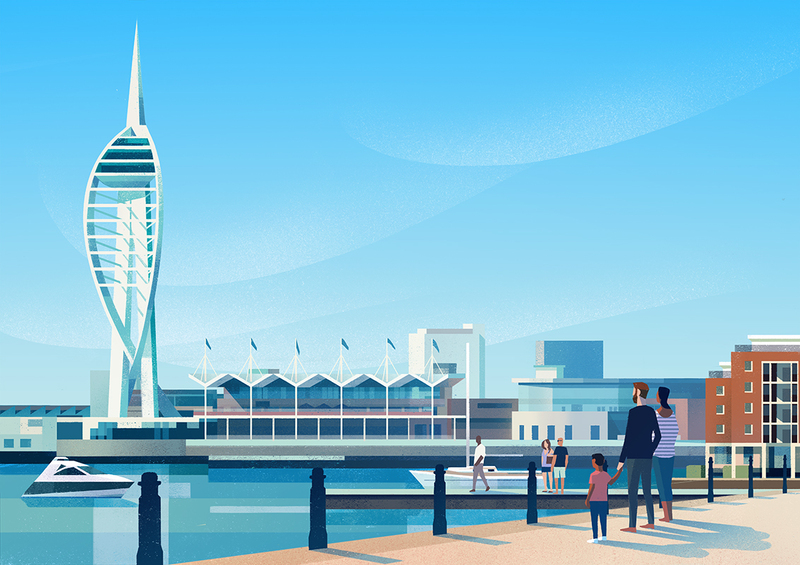 Following their recent rebrand, they commissioned several illustrations to set the tone for future communications. Mark's increasingly popular style was chosen for its contemporary feel and his strong use of light and perspective. To see Mark's portfolio, click here. Mark Boardman is represented by Meiklejohn. Published on 28 June 2017.